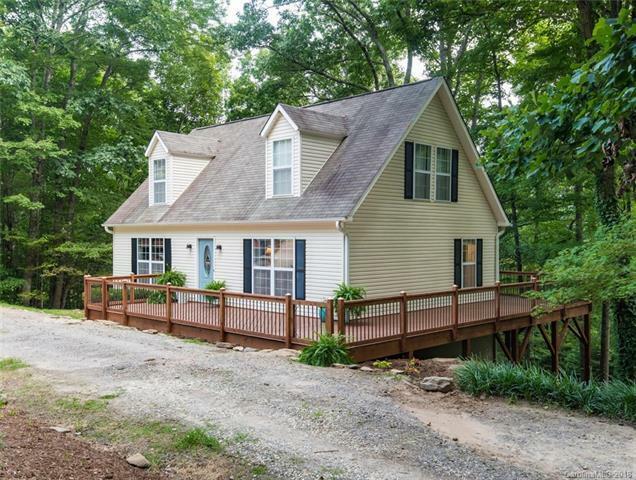 39 Leisure Lane, Swannanoa, NC 28778 (#3415874) :: Robert Greene Real Estate, Inc.
Charming, move-in ready, home in Alpine Meadows! This bright, open floor plan features a spacious eat-in kitchen with stainless steel appliances and quartz countertops, bamboo flooring, two bedrooms and a full bathroom on the main level, and a large master suite and office on the upper level. A large walk-out basement features an additional bonus room and large family room. Enjoy over an acre of beautifully wooded property including a bold stream flowing just off the large deck. Convenient to east Asheville amenities and just a short commute to downtown Asheville and Black Mountain.